Alex Martin Johnson is an accomplished policy shaper, skilled legal practitioner, and influential advocate whose work has vastly improved the quality of life for hundreds of thousands of people. His strategic leadership has advanced policy, programmatic, organizing and advocacy efforts across diverse sectors that include education, criminal justice and juvenile justice reform, economic inequality and poverty, youth development, civic engagement, and children’s health. Alex is President of the Los Angeles County Board of Education, the governing body for the Los Angeles County Office of Education (LACOE). As a member of the board for the nation’s largest county he works directly with the Superintendent of Schools in overseeing the education system for the nation’s largest juvenile justice system, the state’s largest Head Start grantee program serving more than 13,000 preschool children, and programs serving homeless, foster, and special education students. Through effective leadership and oversight Alex has worked to shape LACOE policies in the best interest of students while managing a budget exceeding $630 million annually. In addition to serving as President of the Los Angeles County Board of Education, Alex works in philanthropy on violence prevention, health and wellness issues. He previously served as Managing Director of Californians for Safety and Justice (CSJ), a statewide nonprofit advocacy organization that aims to replace over-incarceration and prison waste with new safety priorities rooted in prevention and health. Alex served as Executive Director of Children’s Defense Fund-California (CDF-CA), working alongside Marian Wright Edelman. He led the organizations statewide advocacy, policy, program and organizing efforts to ensure access to quality affordable health coverage and care for children and low income families, reforming the juvenile justice system, promoting educational equity, and ending child poverty. Under his leadership the organization became a strong presence in the capitol and throughout the state – winning a long fought battle to end solitary confinement in juvenile institutions, prohibiting youth from being charged with a criminal violation for transit fare evasion and expanding the earned income tax credit. As part of his vision to expand CDF-CA’s educational equity work through an intersectional and inter-generational lens, Alex led the creation of a parent engagement institute to empower and engage parents of color. 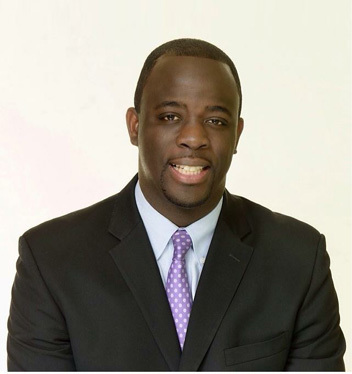 In addition to executive leadership roles in the nonprofit sector, Alex has worked extensively within local government and served as Assistant Senior Deputy for Education and Public Safety to Los Angeles County Supervisor Mark Ridley-Thomas. He worked collaboratively with education advocates and First 5 LA on funding efforts to increase access to early education and health – securing more than $64 million to continue funding high quality preschool in Los Angeles County and $1.5 million for mobile health clinics to expand eye exams, offer prescription eyewear and provide vision services to students in need. Alex spearheaded the effort to provide summer literacy programs to youth in probation camps through a partnership with the Children’s Defense Fund. Prior to his extensive work in California, Alex worked with school instructional leaders in the New York City Department of Education on a teacher quality and performance initiative, served as a lecturer at Lehman College, taught constitutional law to high school students in Washington, D.C. public schools as a Fellow with the Marshall Brennan Constitutional Literacy Project, and advocated for indigent clients at the Public Defender Service for the District of Columbia. Alex began his professional career as an Assistant District Attorney in the Bronx, New York where he advocated for victims of domestic violence. Born, raised and educated in Los Angeles public schools, Alex is a graduate of Morehouse College and earned his Juris Doctor from American University, Washington College of Law. He was appointed by Governor Jerry Brown to serve on the California Racial and Identity Profiling Advisory Board and the California Complete Count Committee as an appointee of Governor Jerry Brown. Alex serves on the National Advisory Committee for the Creative Youth Development National Partnership, and the Board of Directors for the Wiley Center for Speech and Language Development. He was a founding board member of the Arts for Incarcerated Youth Network. Alex has been a regular contributor to the Huffington Post and his articles covering a wide-range of topics have appeared in the Los Angeles Times, La Opinion, Los Angeles Daily News, Sacramento Bee, San Jose Mercury News, Youth Today, Los Angeles Wave,LA Focus, Juvenile Justice Information Exchange, the California Health Report and other publications.